Ensemble de 4 bracelets vendus séparément ou ensemble. 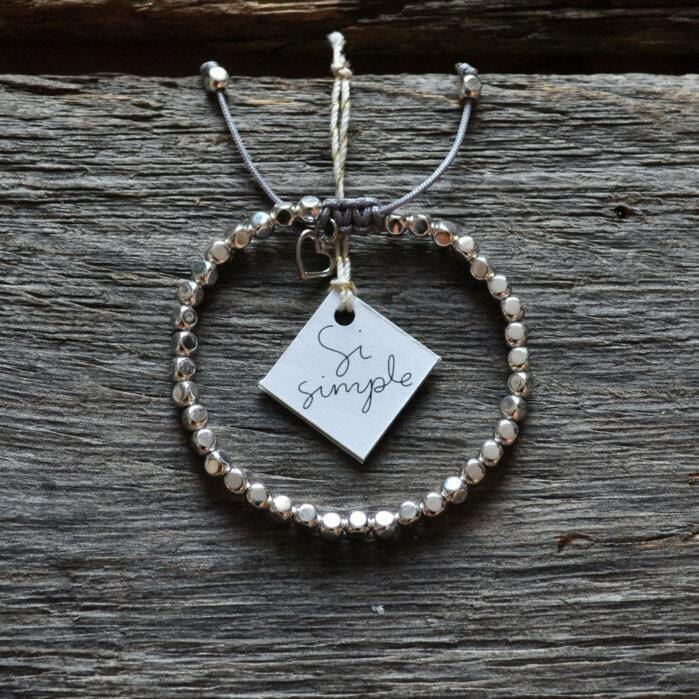 Stack of 4 bracelets which can be paired as shown or all bought separately. 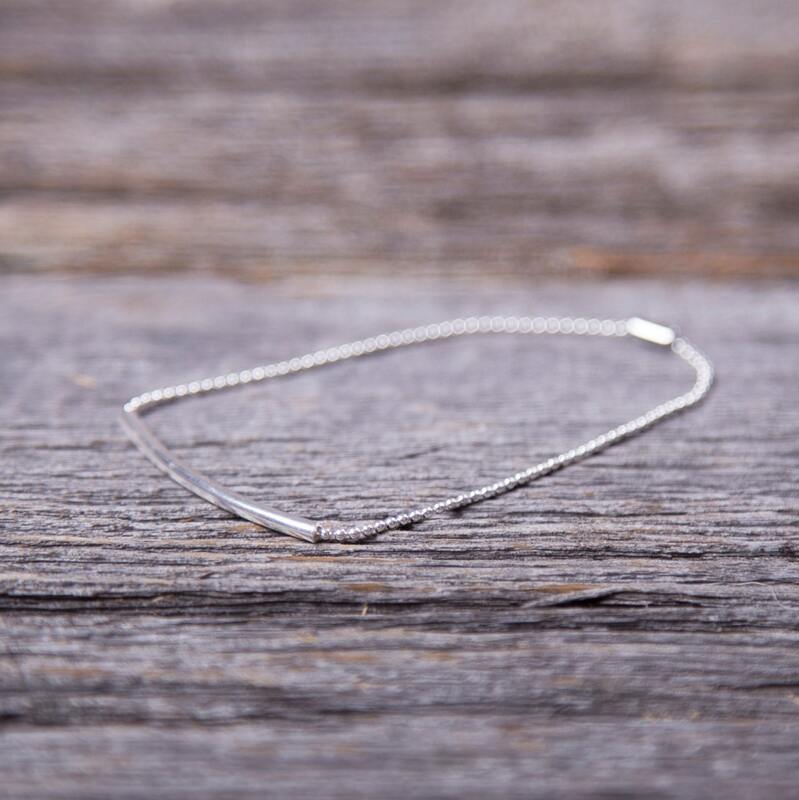 Silver-plated ball chain bracelet 0,2mm with delicate silver bar pendant. 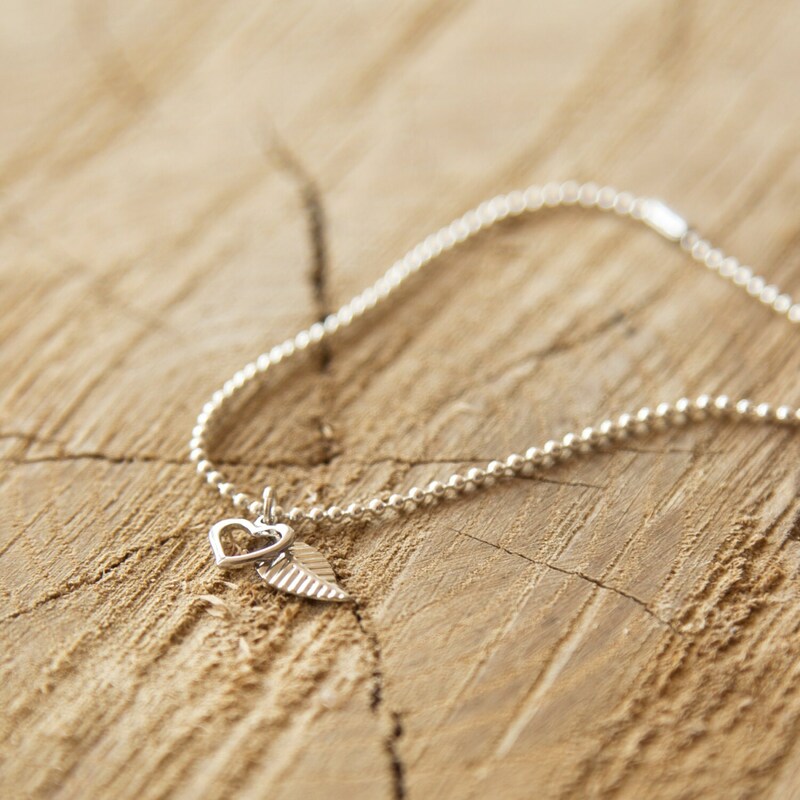 Silver-plated ball chain bracelet 0,5mm with delicate leaf pendant. 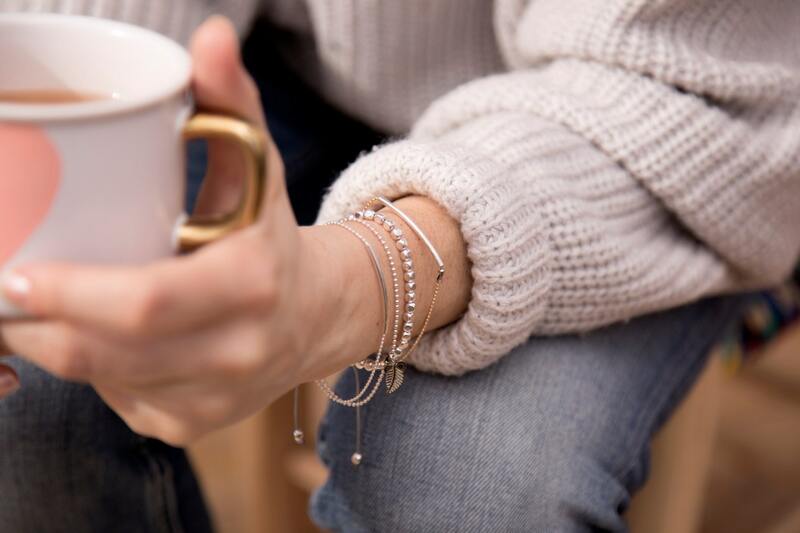 Silver-plated square beads on nylon thread with adjustable knot to fit your wrist. 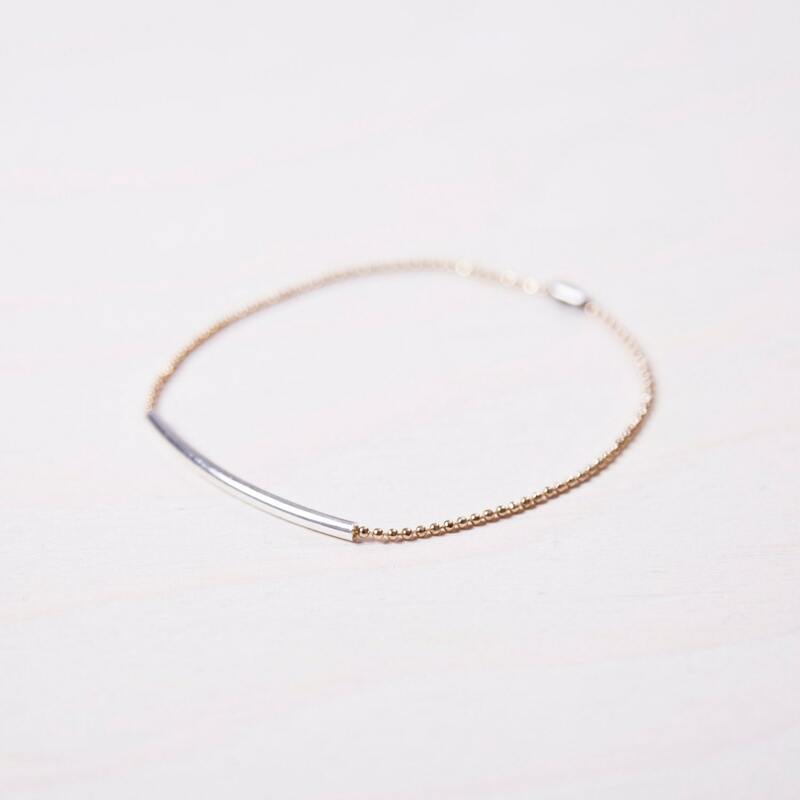 Gold-plated ball chain bracelet 0,2mm with delicate silver bar pendant.